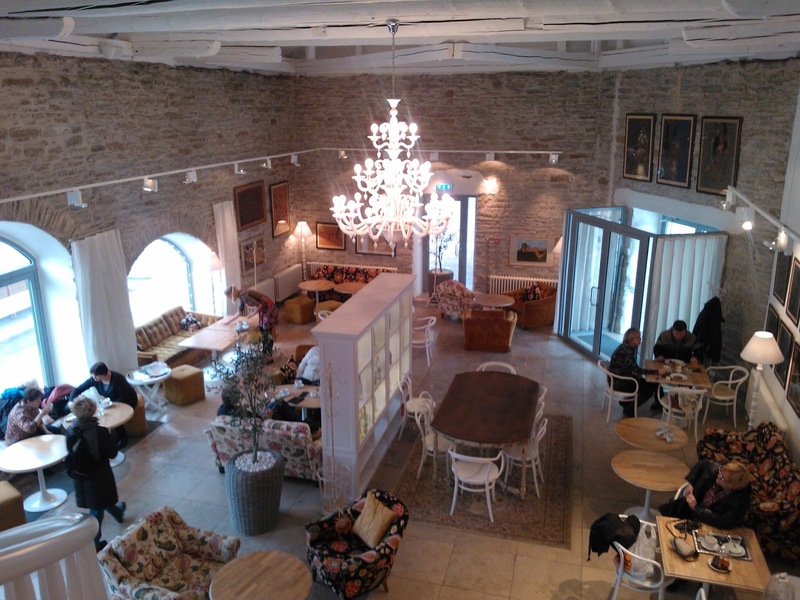 Kochi Kohvituba, located near the D-terminal in the port of Tallinn, is currently my favourite café in Tallinn. 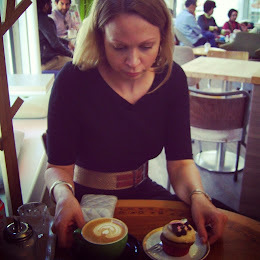 Tallinn, the capital city of Estonia, has many nice cafes and generally they serve a very good selection of coffees, cakes and food. 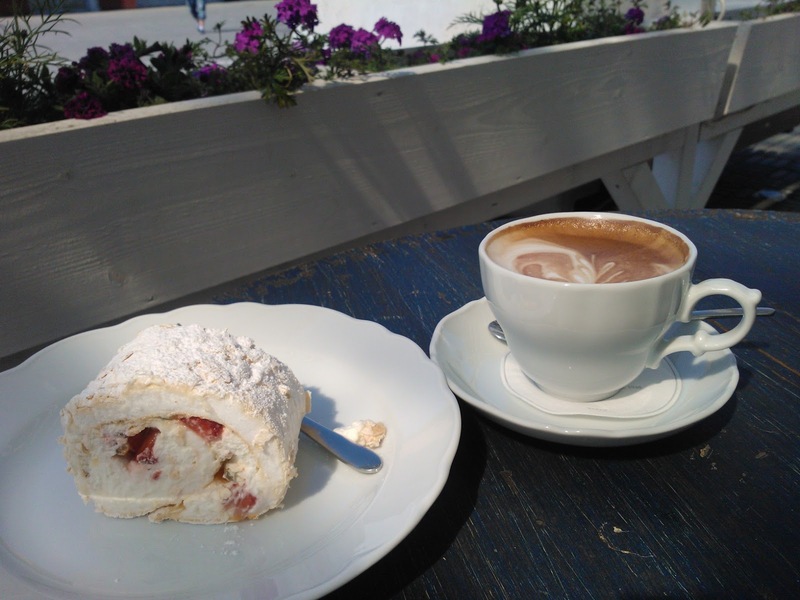 There are plenty of good alternatives to choose from and you can spend a day just by going from one café to another – believe me I have done it! Maybe later I will write a more comprehensive report of the coffee scene in Tallinn but this time I will just talk about this one place. I found Kochi Kohvituba by accident and the café charmed me instantly. 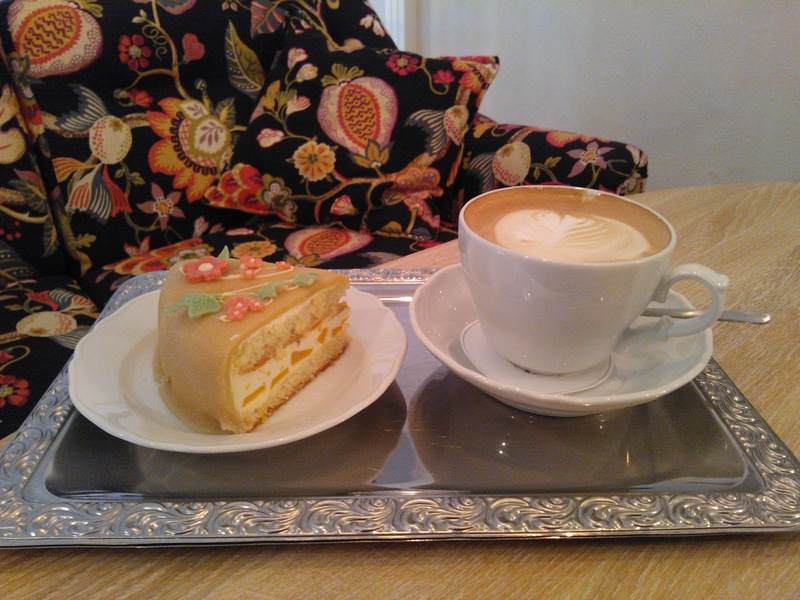 The café is big and bright and the two floors are decorated with style. Visitors can also enjoy the exhibitions of Estonian art on the walls. There is also a cute little food store next to the café. 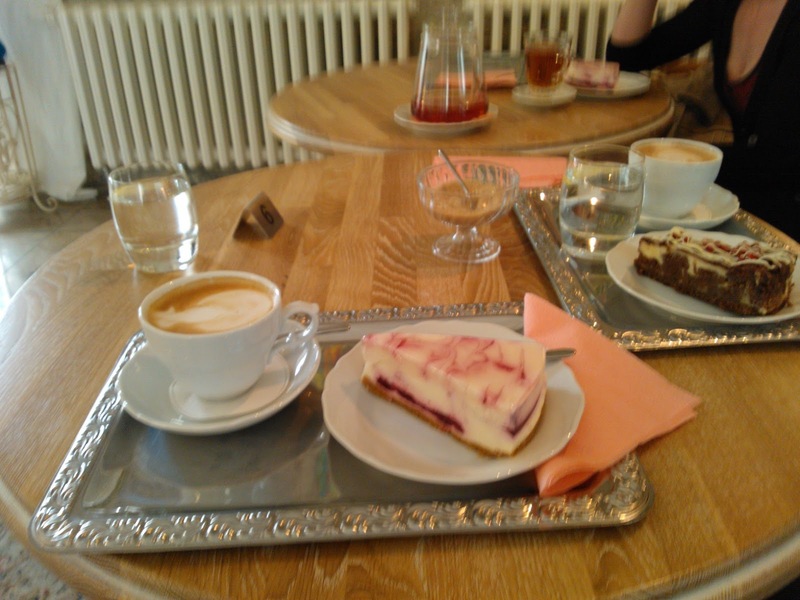 On my last visit on a Sunday afternoon the café was quite crowded. A cosy coach and table yet waited for me at the second floor. 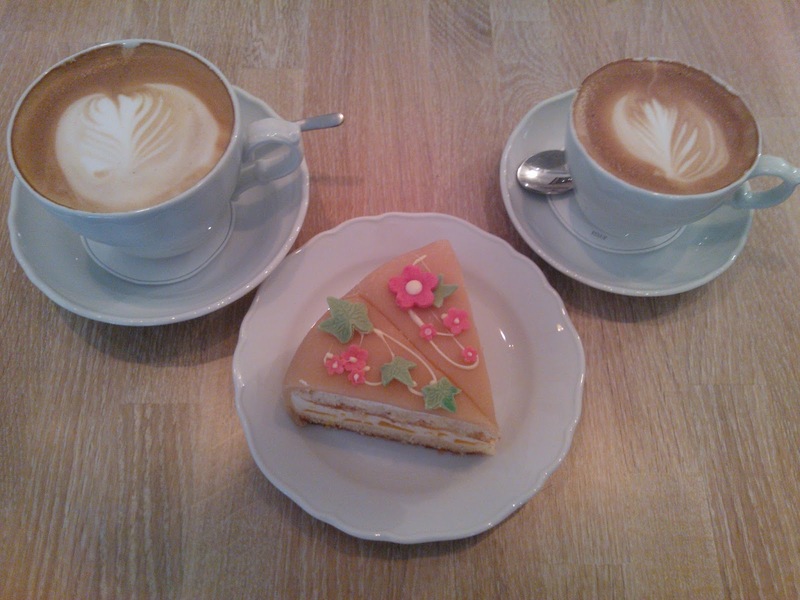 Caffe latte and cappuccino (à 2,10 €) tasted heavenly smooth and a big piece of marzipan covered cake was also delicious (2.30 €). This is the place I go when in Tallinn. 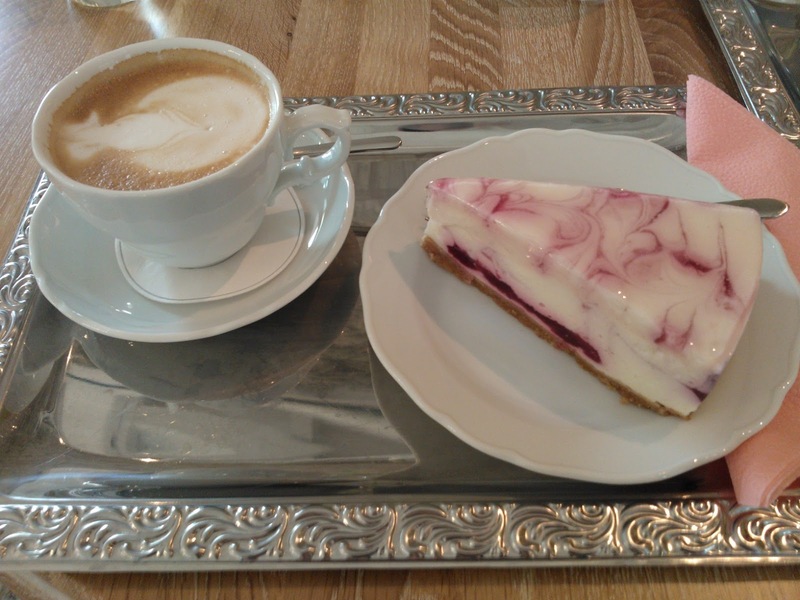 The pictures are taken during three different visits to the café. Just to explain that I did not eat all of these at once!